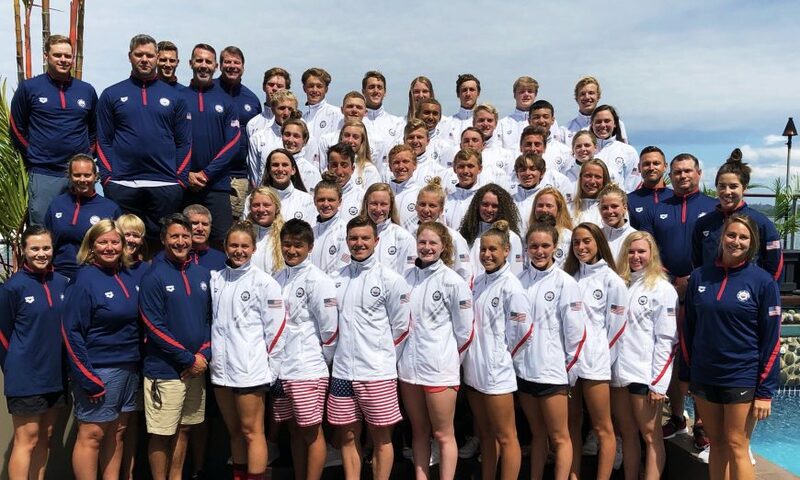 Santa Clara swim coach Allison Beebe (bottom row, second from the left) with the U.S. Junior Pan Pacific Championships team. Beebe is the head coach of the women’s team. Santa Clara Swim Team coach Allison Beebe is stepping onto the international stage this week. She is in Fiji, serving as the head coach of the United States’ Women’s National Junior Team at the 2018 Junior Pan Pacific Championships. The team is comprised of America’s future swimming stars. 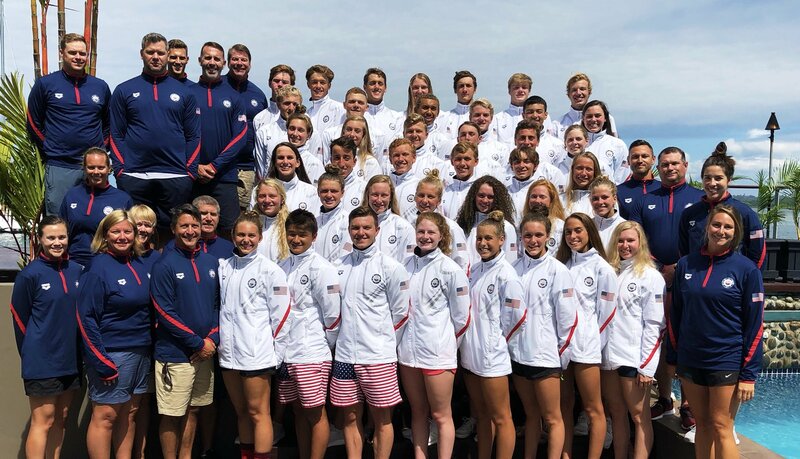 All of the swimmers are under the age of 18 and all of them are likely to be a part of Team USA in the 2020 or 2024 Summer Olympic Games. Beebe’s job is to help them get to that next level. Beebe has experience working with future Olympians. She began coaching Simone Manuel when Manuel was just 11 years old. At the 2016 Olympic Games in Rio de Janeiro, Manuel won two gold medals and two silver medals. Whether it’s a future Olympian or a young swimmer just starting out, Beebe takes the same approach when it comes to coaching. Beebe has spent her career working with local swimmers as well as the national team. She coached an All-Star Team in Osaka in 2012 and works closely with USA Swimming year-round. She has coached at multiple national camps and has formed a bond with many of the athletes and other coaches headed to Fiji. “I love the enthusiasm of the Junior Team,” said Beebe. “It is so pure and genuine. For many, this is their first time representing the U.S., so putting on the USA team cap is such an exciting ordeal. The Junior Pan Pacific Championships are Aug. 23 through Aug. 26. After that, Beebe heads back to Santa Clara, where she hopes to bring new knowledge back to her local swim team.